With no tools or special equipment needed, stainless steel Unicoil(TM) slides over outside of hose. Flexible spine can then be bent up to 90Â° to form hose into desired shape so it can be protected from abrasion and kinking from fatigue, or re-routed around heat or obstacles. Unicoil(TM) can accommodate hose outside diameters from .52-1.42 in. 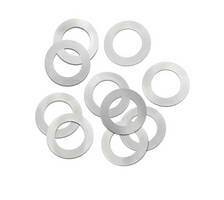 They are reusable and can be used above or below ground and underwater. Unicoil(TM), from Precision Brand Products, is a simple, effective tool designed to extend the life of a hose assembly. 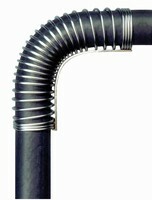 With no tools or special equipment needed, the stainless steel Unicoil(TM) slides over the outside of the hose, its flexible spine can then be bent up to 90° to form the hose into a desired shape so it can be protected from abrasion, kinking from fatigue, or re-routed around heat or obstacles. Unicoil(TM) can accommodate hose outside diameters from .52" to 1.42". They are reusable and can be used above or below ground and underwater.